Could Video be the Key to Government Transparency? You won’t have to go too far these days to hear someone talking about government transparency. No matter which way you lean, you’ll probably find that you’d like to know more about how your government operates. In the midst of all this, you’ll now find that a lot of state and local governments are adopting something called Open Meetings. Citizens are able to access all kinds of information about what their governments are doing, and how they’re getting it done (or not, as the case may be). Streaming and on-demand video are becoming major aspects of Open Meeting initiatives. Now that the technology to record and publish meetings is readily available, governments are making use of it. And it’s starting to pay off. Let’s take a look at how governments are adopting Open Meeting strategies. Then we’ll dive deeper to find out more about how they’re using video as an integral aspect of this strategy. So, what are Open Meetings, anyway? The concept of Open Meetings is pretty simple. The laws dictating them, however, do vary from state to state. While we won’t get into those derivations, here are the basics. Open Meetings offer citizens full access to legislative actions and government information. How do they do this? By making materials such as legislative agendas and meeting minutes public. In addition, some public bodies make their meetings available via video, either with a recording or by streaming it live to online audiences. The point is, whoever you are, and wherever you may be, you can find out what’s going on in all of the public proceedings of the government of that state. What do Open Meetings look like in practice? This is all very nice, but you may be wondering what this actually looks like when put into action. Here’s an example. The South Dakota Public Broadcasting (SDPB) corporation is a statewide public broadcasting network. They offer full coverage via live webcast of meetings held by the South Dakota State Legislature, as well as 128 other organizations of the South Dakota Boards and Commissions. There is a lot of material available to South Dakotans via the South Dakota Network website, which, in addition to access to government, also includes judicial proceedings, and even South Dakota high school activities like basketball and hockey games. Who says transparency can’t also be fun? Do Open Meetings via video create more work? No matter which side of the aisle your allegiances lie, you’re probably interested in things your government can do to spend less money, not more. No need to worry, folks. By employing a publishing and archiving workflow that uses automation, you can publish the same amount of video, while maintaining the same workforce. This is a win that anyone can get behind! Let’s take a quick peek at some steps to making Open Meetings with video work for you. Sure, it sounds obvious, but your website is the cornerstone of your Open Meeting operation. You’ll need a site that you can dedicate to publishing live and on-demand video online. You’ll be able to create simulated live broadcast channel experiences online. You do this by programming live streams and on-demand content to play out at specific times throughout the day. Alternatively, you can also make sure the streams play 24/7. Using the SDPB example, you’ll see that they give their constituents access to a schedule to learn about upcoming events, and also make it possible to watch live or recorded sessions on-demand. Because you’re trying to make sure that everyone can access your content, it’s important to record anything you broadcast live. We all know that people have other obligations that can prevent them from seeing live proceedings. Recorded video makes your meetings accessible any time. You’re also going to want to create a safeguard from potential network failures, and make sure that you have local backups of all meetings. You can do this by recording your live streams directly onto your encoder. A screenshot of the SDPB website, showcasing a few of the streams they offer. In the case of SDPB, they’re utilizing Haivision’s Makito X with Storage. They’re able to record hundreds of hours of video without breaking a sweat, or cramming other storage devices. Almost every state legislature has multiple rooms where meetings take place. In order to ensure that you have the flexibility to stream from permanent rooms, remote rooms (such as in schools or community centres) and from public spaces, you’ll require a portable system. Make sure it’s simple to set up, and easy to transport. As of 2015, it’s estimated that a full 85% of Americans have access to the Internet. We all know by now that publishing online is the easiest, and most accessible means of disseminating information. This makes it the perfect channel to fulfill your government’s Open Meetings policy. We all have a great opportunity to increase government transparency and help citizens stay informed about government planning. In addition, those who cannot normally attend sessions due to disability, distance, or other obligations are also able to tap into the modern convenience of online video streaming. And with very little effort, you can have more transparent government, and a more well-informed populace. Ready to learn more? Read a case study of how South Dakota Public Broadcasting was able to set up a streaming media solution for their Open Meetings mandate here. 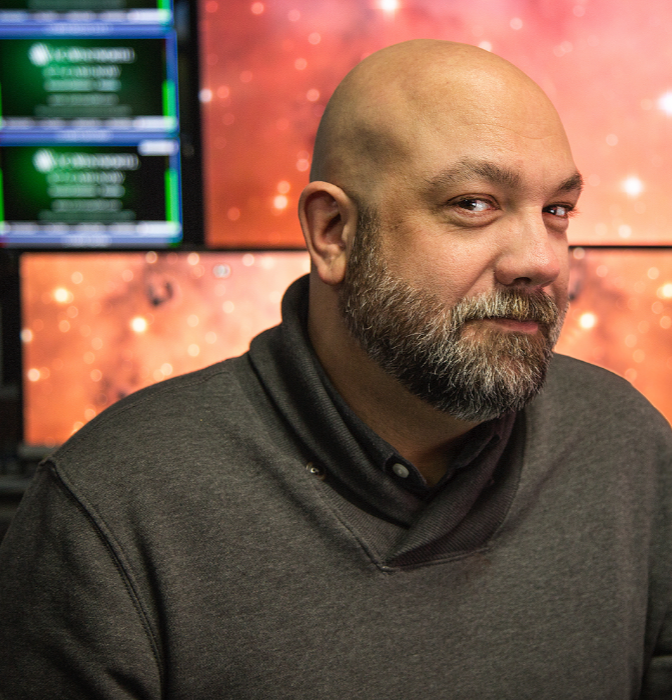 Mark John Hiemstra is a writer and marketer who's had a lifelong obsession with broadcasting technology — from FM and UHF to DAB and UHD. A writer by day and a reader by night, he is loathe to discuss himself in the third person, but can be persuaded to do so from time to time.